← Just Got Terminated for Convenience? Five Steps You Should Take Right Now. 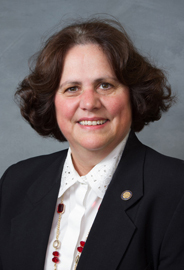 I had the pleasure yesterday of attending the first of four meetings of the “House Committee on Mechanics’ Liens and Leasehold Improvements,” a non-standing legislative research committee of the North Carolina House of Representatives co-chaired by Representatives Sarah Stevens (R-Mt. Airy) and Dean Arp (R-Monroe). The Committee’s work is focused primarily on whether the state’s mechanics’ lien statutes should be tweaked to strengthen the lien rights of contractors performing work for project owners who lease, rather than own, the property being improved. Current statutory law allows contractors to place a lien on so-called “leasehold estates” (see N.C. Gen. Stat. § 44A-7(7)), but as Raleigh construction attorney Henry Jones, counsel to the Carolinas Electrical Contractors Association and N.C. Association of Plumbing & Mechanical Contractors, explained, such liens, in practice, are “illusory,” for two reasons: (1) when the lease is terminated, so are any lien rights asserted against the tenant’s leasehold interest; and (2) a successful levy against a leasehold generally means accepting not only the lease’s benefits, but also its burdens, including the obligation to make rent payments. The big question for the Committee to consider over the coming weeks is this: under what circumstances might it be appropriate to permit a contractor performing a tenant improvement to place a mechanics’ lien on the record owner’s “fee simple” interest? Advocates of permitting such liens would argue that a landlord’s property value is usually enhanced by a tenant improvement, and therefore fairness dictates that the property serve as security for a contractor’s right to payment, particularly in light of the State Constitution’s mandate for providing contractors with “an adequate lien.” Opponents would argue that the record owner is just as innocent a party to a tenant’s failure to pay a contractor as the unpaid contractor itself, and that it would be inappropriate to expose the record owner to lien liability for an improvement it may not have authorized. 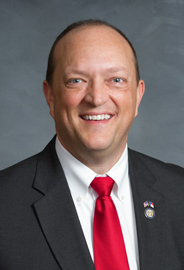 Mr. Jones presented the Committee with suggested amendments to the mechanics’ lien statutes that would: (1) add language to the definition of the term “Owner” in N.C. Gen. Stat. § 44A-7(6) expressly stating that improvements authorized by a tenant are “deemed improvements authorized by the record owner of the real property; and (2) add language to § 44A-9 expressly stating that claims of liens on leaseholds “shall extend to the fee simple interest of the record owner of the real property.” Two plumbing subcontractors spoke in favor of legislative action, and the meeting was adjourned shortly thereafter. The next scheduled Committee meeting is February 3, 2014 at 1:00 p.m. Representatives from various realtor and banking associations are expected to address the suggested amendments at that time, and will presumably express reservations about the proposals presented yesterday. What do you think? Should record owners of real property have some “skin in the game” when it comes to tenant improvements? I’ve created a handy poll to register your vote; feel free to comment as well!